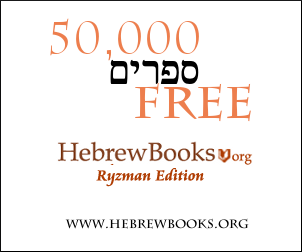 I saw on page 15 of this pdf the following statement quoted in the name of the Chida: "אין דבר העומד בפני הרצון, Nothing that stands in the way of desire." Does anyone know where the source for this can be found? כל מילין דעלמא לא תליין אלא ברעותא - כל הדברים שבעולם אינם תלויים אלא ברצון. Searching around I saw a lot of places quoting the Imrei Emes (again a 20th century source) as saying it is from the Chida, but no one actually knowing where in the Chida it is found. The exact terminology is credited by Wiktionary to Menachem Ussishkin, a Zionist who was a native of Russia. However, this is also a statement in the writings of the Previous Lubavitcher Rebbe, Rabbi Yosef Yitzchak Schneerson. One example is Sefer Mamarim 5703 p.12 as a known "saying" where the exact wording is אין לך דבר העומד בפני הרצון. The most recent Lubavitcher Rebbe wrote the footnotes at the time of publication, and he writes that it is brought in many places, but until now I don't know its place. The implication is that it is brought in many places in the writings of the previous Rebbe, but he doesn't know an earlier source. A more knowledgeable source explained to me that the intent of this statement is that many quote it as a "saying" but the most recent Rebbe could not find the source of the saying. The previous Lubavitcher Rebbe and Ussishkin were contemporaries and from the same country (and Ussishkin was from a Chabad family), so it would probably be impossible to demonstrate who took it from who, or if it developed in parallel. The statement has a close parallel in Zohar Volume 2 162b, which says "All things in the world are only dependent on will". The most recent Lubavitcher Rebbe connects the idea to Megilah 6b (with regard to Torah learning) ("If someone says I tried but didn't succeed, don't believe him", etc.) and in Rambam Hilchos Teshuva 5:1 with regard to free choice ("Permission is given to every person - if he wants to turn himself to the good path and be righteous, he has the ability, if he wants to turn himself to the bad path and be wicked, he has the ability"). It is in the free choice sense that the previous Lubavitcher Rebbe uses it - the ability to overcome habitual behavior, and the most recent Lubavitcher Rebbe as well - the ability to choose to improve in doing Torah and Mitzvos. See R. Tzvi Hersh Notik's comments on the sourcing here. Based on all the above, a tentative suggestion is that it is a saying of a kind with היינו דאמרי אנשי, a common folk expression used to illustrate a Torah idea, kind of like using "where there's a will there's a way" to illustrate a Torah point. Not the answer you're looking for? Browse other questions tagged sources-mekorot quotations .